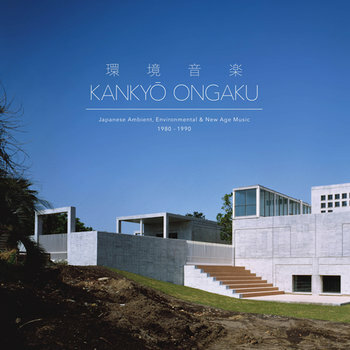 Brainwashed - "Kankyō Ongaku: Japanese Ambient, Environmental & New Age Music 1980-1990"
"Kankyō Ongaku: Japanese Ambient, Environmental & New Age Music 1980-1990"
Light In The Attic's Japan Archival Series continues with Kankyō Ongaku: Japanese Ambient, Environmental & New Age Music 1980-1990, an unprecedented overview of the country’s vital minimal, ambient, avant-garde, and New Age music – what can collectively be described as kankyō ongaku, or environmental music. The collection features internationally acclaimed artists such as Haruomi Hosono, Ryuichi Sakamoto and Joe Hisaishi, as well as other pioneers like Hiroshi Yoshimura, Yoshio Ojima and Satoshi Ashikawa, who deserve a place alongside the indisputable giants of these genres. In the 1970s, the concepts of Brian Eno's "ambient" and Erik Satie's "furniture music" began to take hold in the minds of artists and musicians around Tokyo. Emerging fields like soundscape design and architectural acoustics opened up new ways in which sound and music could be consumed. For artists like Yoshimura, Ojima and Ashikawa, these ideas became the foundation for their musical works, which were heard not only on records and in live performances, but also within public and private spaces where they intermingled with the sounds and environments of everyday life. The bubble economy of 1980s Japan also had a hand in the advancement of kankyō ongaku. In an attempt to cultivate an image of sophisticated lifestyle, corporations with expendable income bankrolled various art and music initiatives, which opened up new and unorthodox ways in which artists could integrate their avant-garde musical forms into everyday life: in-store music for Muji, promo LP for a Sanyo AC unit, a Seiko watch advert, among others that can be heard in this collection. Kankyō Ongaku is expertly compiled by Spencer Doran (Visible Cloaks) who, with a series of revelatory mixtapes as well as his label Empire of Signs (Music For Nine Postcards), has been instrumental in shepherding interest in this music outside of Japan. Together with Light In The Attic's celebrated anthologies I Am The Center and The Microcosm, Kankyō Ongaku helps to broaden our understanding of this quietly profound music, regardless of the environment in which it is heard. Out February 2019 on Light in the Attic.